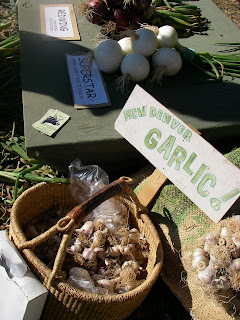 Once again the weather in New Denver was perfect for the 5,000 or so people attending the Garlic Festival. The gates opened at 10am with people coming from Nelson, Revelstoke, Golden, Nakusp and many other places. There was all types of garlic and other produce for sale. Entertainment and food kept everyone happy. New Denver is quiet once again tonight.